Phil is your local Erina Building Inspector. 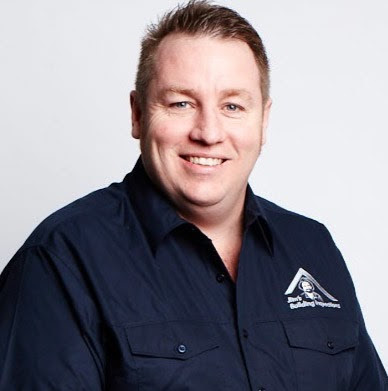 Phil has worked in the building industry since 1994, originally commencing as an Apprentice Plumber for the NSW State Government in the Health system. He progressed his career completing an apprenticeship and then entering the private sector. Phil left the Plumbing field after 6 years, moving into various roles such as: Project, Facilities, State and Area management positions. Phil has worked in the various industries that include Residential, Commercial and Industrial. More specifically Phil has worked across the following sectors: Plumbing, Painting, Fuel, Building and Construction, Retail and Defense. His background in the building industry is vast, resulting in a good mix of skill-sets which has made him a good match for Jim’s Building Inspections. Additionally, Phil has an extensive background in maintenance and repair. Over the last 3 years Phil has been working as an Area Installation Manager in a Retail environment servicing the residential market. During this time he secured a Kitchen, Bathroom and Laundry Contractor Licence after completing a Cert IV in Building and Construction whilst maintaining his plumbing qualifications. Phil has a young family and wants to pursue a better lifestyle with a Jim’s Building Inspection Franchise. Phil has two children with his wife, their daughter is currently in Kindergarten and their son is soon to turn two years of age.